It's Monday, March 18, 2019. Let's start here. 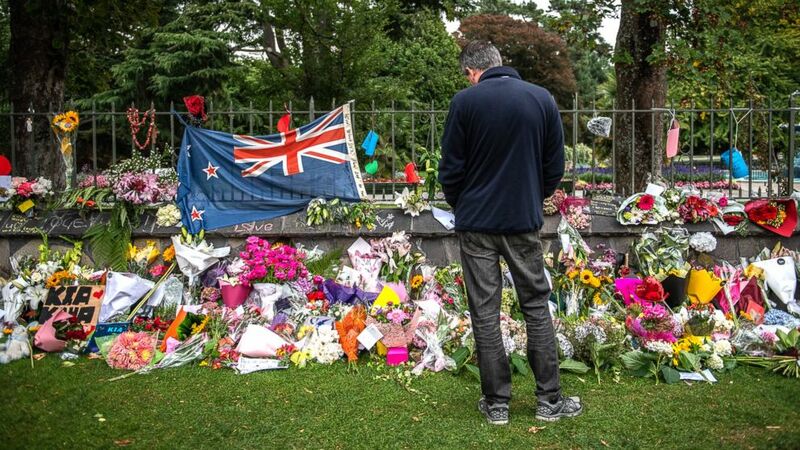 New Zealand Prime Minister Jacinda Arden said early Monday, following a shooting spree at two mosques that killed at 50 and injured dozens more, that significant changes to the nation's gun laws would be announced within 10 days. ABC News' Will Carr reports from Christchurch on what relatives of the alleged shooter are saying, while John Cohen, an ABC News contributor and former Department of Homeland Security acting undersecretary, tells us on today's podcast, "We are experiencing an increase in violent activity by white supremacists in Europe, the United States, Canada and other parts of the West." Meghan McCain fired back at Donald Trump on Twitter over the weekend after the president of the United States of America bashed her late father, who fought in the Vietnam War because he didn't have bone spurs. "No one will ever love you the way they loved my father," she wrote. "I wish I had been given more Saturday's with him. Maybe spend yours with your family instead of on twitter obsessing over mine?" Trump's tweets lashing out at John McCain and the Steele dossier, ABC News' Lana Zak says on today's "Start Here," could be an attempt to "build up a straw man argument, something that's so outrageous that we all pay attention to the outrageous claims and forget the substance behind things -- like what's in the dossier." Analysis into what exactly went wrong on Ethiopian Airlines flight 302 continues, as that nation's transport minister, Dagmawit Moges, told reporters on Sunday there were "clear similarities" with the Boeing 737 Max 8 that crashed in Indonesia in October. Senior Transportation Correspondent David Kerley joins "Start Here" with the latest, including that the black box data hasn't yet been released: "We're hoping this is all fact based, but everyone has politics involved here." 'Here are more photos of the driver of the 4 wheeler who dragged Sgt. John Bourque': Nashville police are looking for an ATV rider. 'We're not commenting on internal scheduling matters': "Justice with Judge Jeanine" didn't air on Fox News on Saturday after the host's recent comments about Democratic Rep. Ilhan Omar. 'Eggboy': A 17-year-old Australian slams an egg into the skull of a 69-year-old Australian who doesn't like immigration. Your guide to the 2019 NCAA Men's Tournament: The favorites, the Cinderellas and the teams to avoid when filling out your bracket. Our partners at Inside Science bring us a story about a Harvard engineer who makes squishy robots because "instabilities are fun" -- and useful. When you think of robots, you probably picture something made of cold hard metal, or maybe smooth plastic. But what about a soft robot with no gears or wires? Katia Bertoldi, an engineer at Harvard University, and her colleagues are all about building robots with squishy and soft materials.